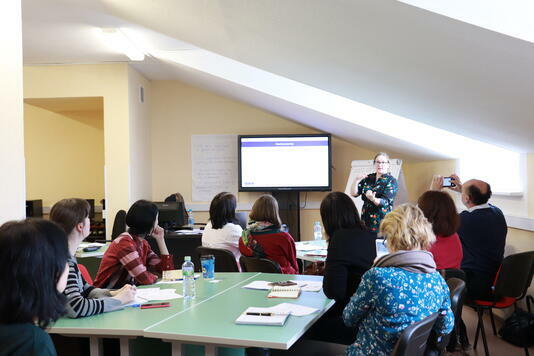 Congratulations to SLC Academic leadership team Bethan Edwards and Jo Langford on giving a hugely successful teacher training session for the lecturers at Sechenov Medical University from 27th to 29th March 2019. All thirty lecturers who attended the three-day session either have to teach in English to international students or are planning to. They represented a variety of different departments, including Medicine, Dentistry, Pharmacy, and Foreign Languages. There were divided into two groups, one working with Bethan and the other with Jo. There was a mix of English levels in each group, ranging from Advanced to Lower-intermediate. While this mix presented challenges, the participants worked together well, learning the language and techniques to plan, structure and deliver lectures, seminars and presentations, give instructions and feedback and manage a variety of classroom scenarios. Language focus points included introducing topics, signposting, transitioning between points, using intonation and pronunciation, showing empathy, drawing conclusions, taking questions and giving answers. On the final day, each participant gave a short presentation on a topic of their choice, incorporating what they had learnt. The others in the class asked questions and the presenter was given individualised feedback by their teacher. Finally, everyone received certificates in a closing session, allowing a moment of both reflection on their learning and celebration of their achievements. Three days is a great injection of intensive learning. 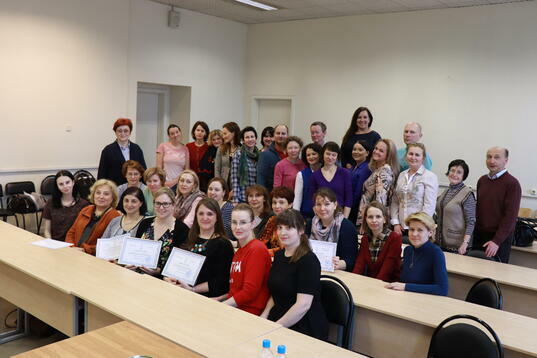 However, the Linguistics and Intercultural Communication department at Sechenov will continue working with the participants to consolidate and extend their learning over the next few months. This will include work on both language and pedagogy, with inputs being tailored to the individual lecturer. We’re hugely impressed by the commitment the university is making to support their academic staff. This can only benefit the international students at the university and further encourage others to come in the future. Bethan and Jo will be returning to Moscow in October to give a similar course to to new groups of lecturers. They will reflect on what they did this March and identify areas where the new courses can be improved and work with the Sechenov team to ensure that the October courses will be as effective as they can be. Want to know about SLC’s Medical English study materials used by medical universities around the world? Download the brochure and get in touch with Chris to discuss further.